If you recently bought Freedom’s Choice bottled water, the Defense Commissary Agency’s private label brand, check your bottles. The agency has recalled certain bottles of water because of impurities found that exceed the manufacturer’s standards, according to a Wednesday announcement. Based on current information available, “we believe that the distribution of the identified specific lot of water is limited to the Korean peninsula,” said commissary spokesman Keith Desbois. Officials advise customers not to drink the affected water and return the product to the commissary where they purchased it for a full refund. Desbois said the supplier has indicated they shipped 66 pallets of bottled water involved in the recall. That’s over 100,000 bottles of water. There have been no confirmed reports of illness received, Desbois said. 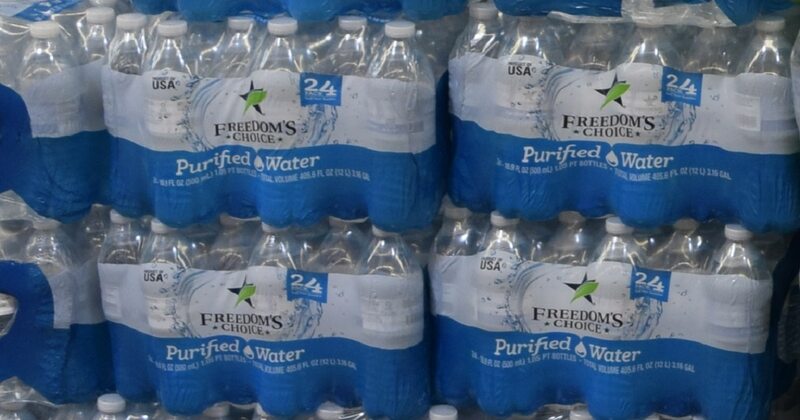 The recalled items are described as 500-milliliter bottles of Freedom’s Choice Purified Bottled Water, lot number STK1070518, with a “best if used by” date of Nov. 5, 2019. The UPC is 842798-10009. Lower prices. Expanded hours. And 'YES,' a new marketing program. Also, beer. Officials will provide more information once laboratory testing is complete, officials said. Commissary headquarters officials have notified all commissary stores about the recall, and the remaining bottles were to be removed immediately from the shelves, officials said. Customers can contact the distributor, Spartan Nash, with questions at 800-451-8500 or via email (PL.contactus@spartannash.com).